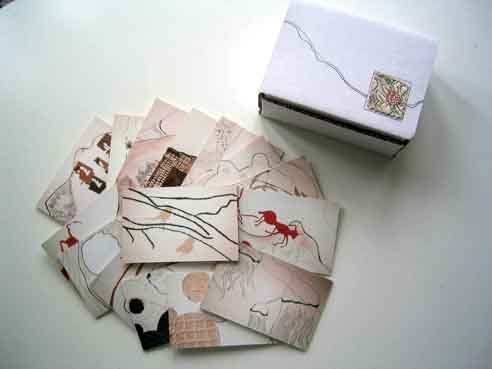 Set of 15 cards in an edition of 25 boxed sets. These photographic cards were a way to document the site-specific installation, "In/Habitable". Images and text appeared on both front and back of the cards, in addition to a unique piece of fabric.